Walsh was a long time Far Rockaway bottler but there’s very little hard information available on him. An Irish immigrant, he listed himself as a bottler and/or mineral water manufacturer and proprietor of his own shop in the 1910,1920 and 1930 census. A couple of his young sons were also listed as bottlers or bottler helpers, leading me to believe it was a small family run operation. I found one large (27oz) tooled crown and several smaller (8oz) tooled crowns. Several machine made bottles (8oz) have also been observed. 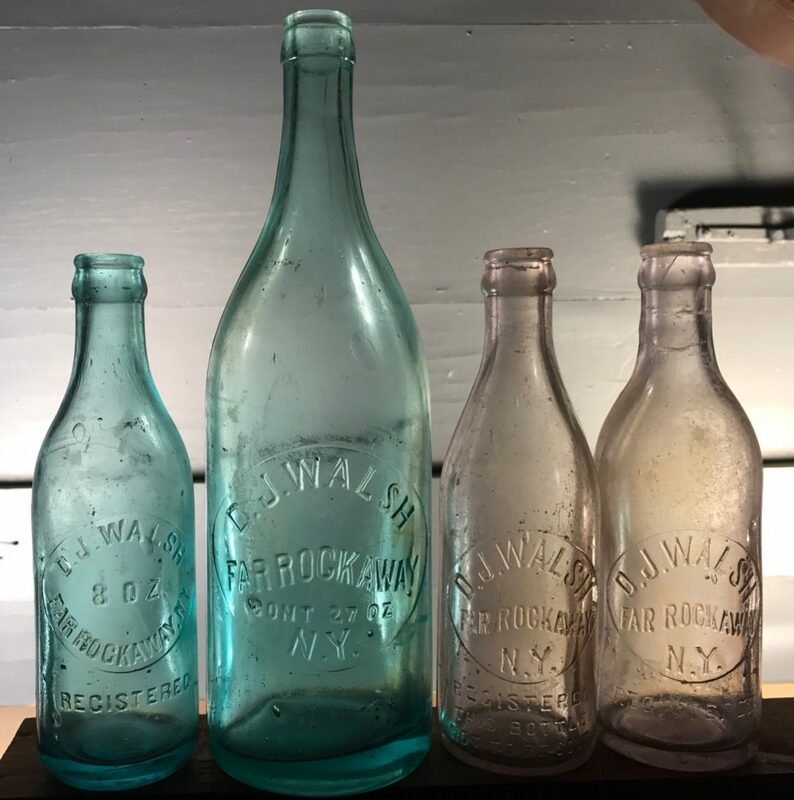 No blob top bottles have been found to date but I’ve seen photos on the Internet (both 8oz and 27oz). I’ve also seen D J Walsh siphon bottles on the Internet. Previous Previous post: W & T, 57 Downing St., N.Y.